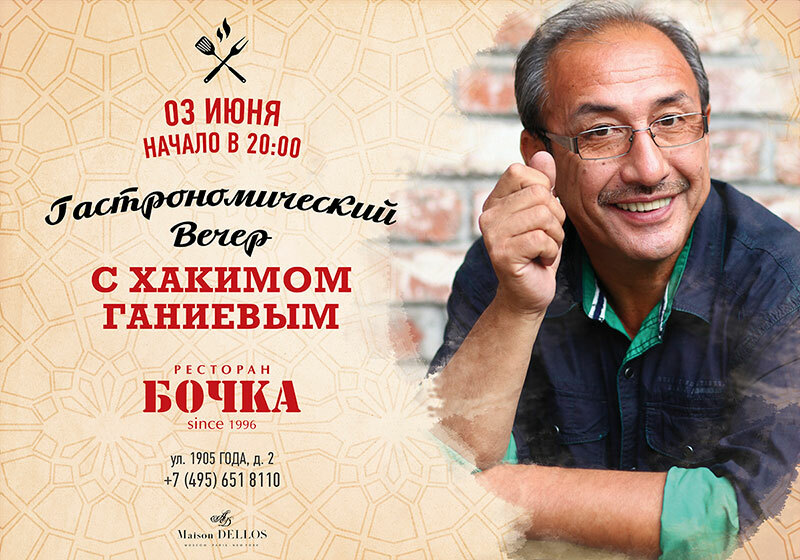 On June 3d, Khakim Ganiev, a true connoisseur of the Oriental culinary tradition and the author of several bestsellers about the secrets of the Oriental cuisine, will be cooking up his dishes at Bochka Restaurant. 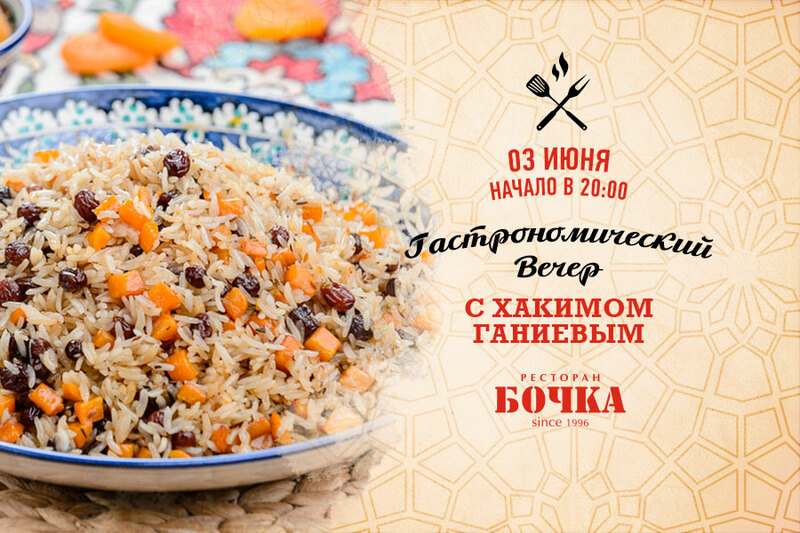 The creator of Oriental feasts, the chef has designed a special menu centered around plov (pilaf) as the main dish. Particularly for this dinner, Khakim Ganiev will prepare home ayran – an excellent dairy beverage to quench your thirst during hot summer days. As an old Oriental saying goes, ‘A sweet word will make up for the lack of tasty plov’. But this won’t be the case for the coming that will offer you the unforgettable plov! To cook it, the Maestro Chef will use a recipe of his own that he keeps a strict secret. Genuine art always stands unsurpassed. Seasoned with secret, the dish will bring your emotions that are hard to communicate, winning all true gourmets’ hearts. To accompany plov, Khakim will prepare summer salad with cucumbers, red-ripe tomatoes, small spring radish and aromatic greens. According to Oriental tradition, green tea is what you start and finish your meal with. It is served with dried Southern fruits. And we will definitely treat you with authentic Oriental delights on this evening! The price for the meal set is 2 500 RUR.